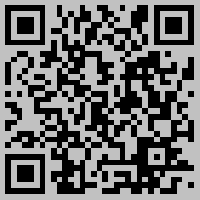 The Working And Usage Of Hydraulic Press - Dongguan Delishi Machinery Technology Co.,Ltd. Joseph Bramah invented the hydraulic press, hence it is also known as the Bramah Press. 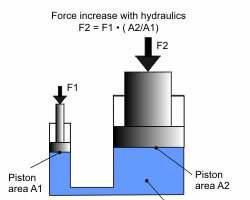 Since the hydraulic press works on the basis of Pascal's Law, its working is similar to the one of the hydraulic system. A hydraulic press consists of basic components used in a hydraulic system that includes the cylinder, pistons, the hydraulic pipes, etc.The working of this press is very simple. The system comprises of two cylinders, the fluid (usually oil) is poured in the cylinder having a small diameter. This cylinder is known as the slave cylinder. The piston in this cylinder is pushed so that it compresses the fluid in it that flows through a pipe into the larger cylinder. The larger cylinder is known as the master cylinder. The pressure is exerted on the larger cylinder and the piston in the master cylinder pushes the fluid back to the original cylinder. The force applied on the fluids by the smaller cylinder results in a larger force when pushed in the master cylinder. The hydraulic press is mostly used for industrial purposes where a large pressure is required for compressing metals into thin sheets. An industrial hydraulic press uses the material to be worked upon along with the help of the press plates to crush or punch the material into a thin sheet. While processing the cocoa beans, a liquid known as chocolate liquor is derived. For making fat-free cocoa powder, this liquid is squeezed out in a hydraulic press. After this stage, this liquid is processed further to make a powder. The powder thus derived is cocoa powder, which is fat-free. In the process of making swords, a hydraulic press is used to give a flat shape to the raw steel. Last：Why would I use a hydraulic instead of a servo or mechanical press?